It’s hard enough trying to find love in the real world, so you can’t blame a fella for trying his luck on the telly. 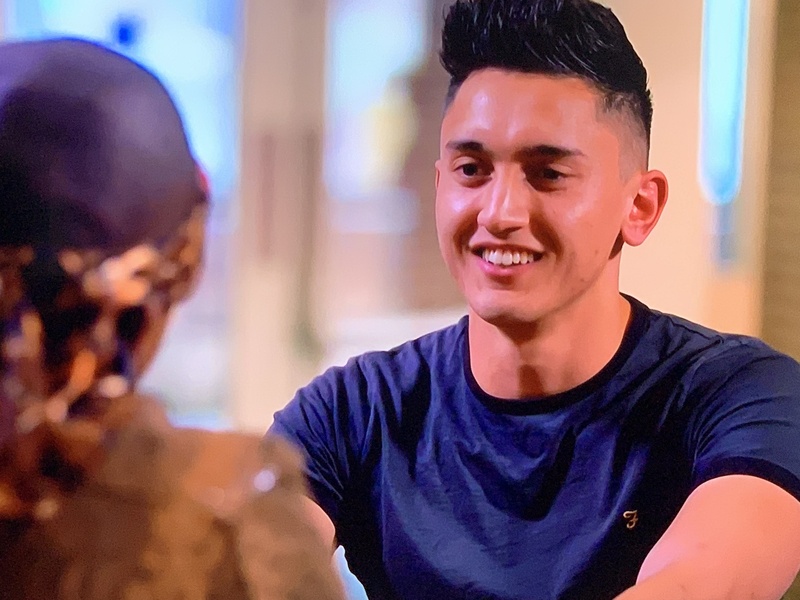 If you’re a fan of Celebs Go Dating, you might just have seen gorgeous George Palmer on a blind date with Vas from TOWIE. Sadly for him, it didn’t go all that well and the TOWIE fashionista made it clear he wasn’t interested. Luckily GuysLikeU were on hand to lend him a shoulder to cry on. 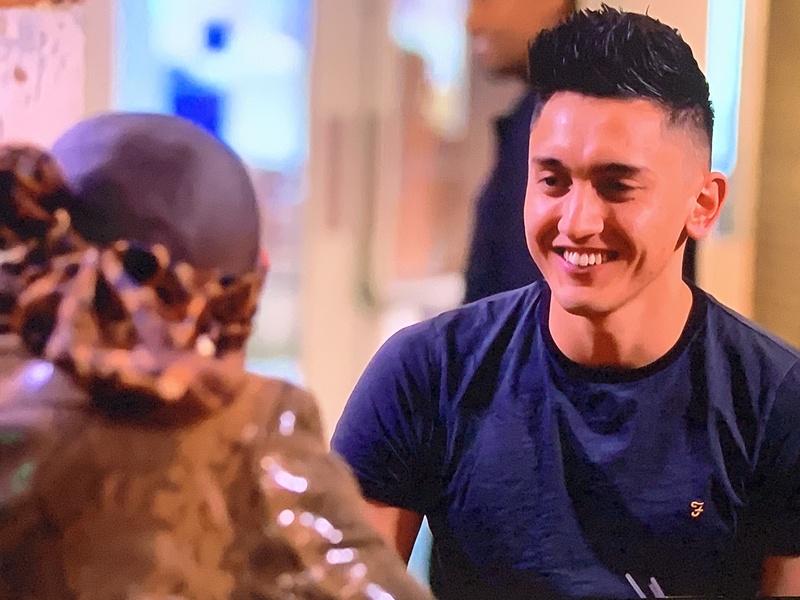 George, how did you get involved with Celebs Go Dating? I was initially contacted by a couple of the casting producers on Instagram. Once they slid into my DMs there were a few stages of auditions through the “dating agency” that involved answering some questions about myself and doing a Skype chat with one of the casters. It was generally quite a fun process, although it did involve being asked some slightly awkward / intrusive ones like “how far would you’d go on a first date” – it’s hard to know what to say to that?? 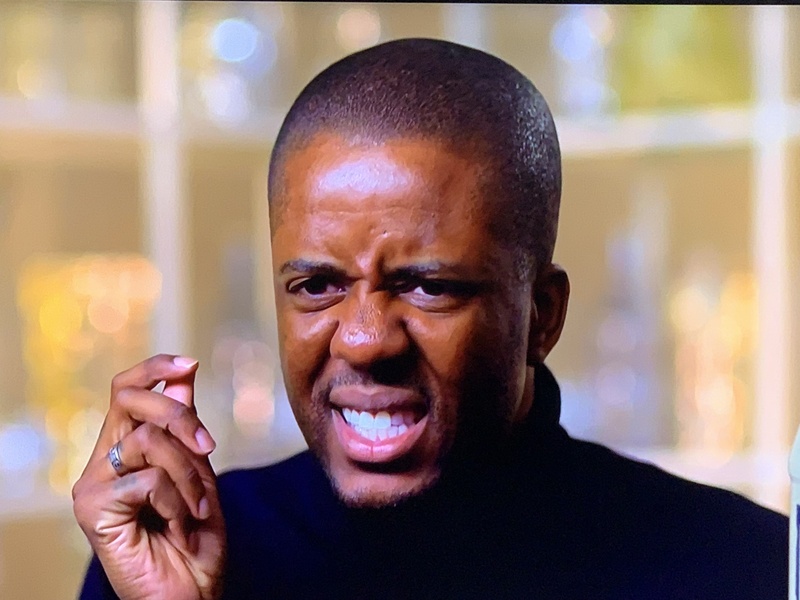 They went quiet on me for ages so I forgot about it for a while, but then one day out of the blue they phoned me when I was at work with about three hours notice before filming and asked if I could come on a date with a celebrity. That must have sounded exciting. 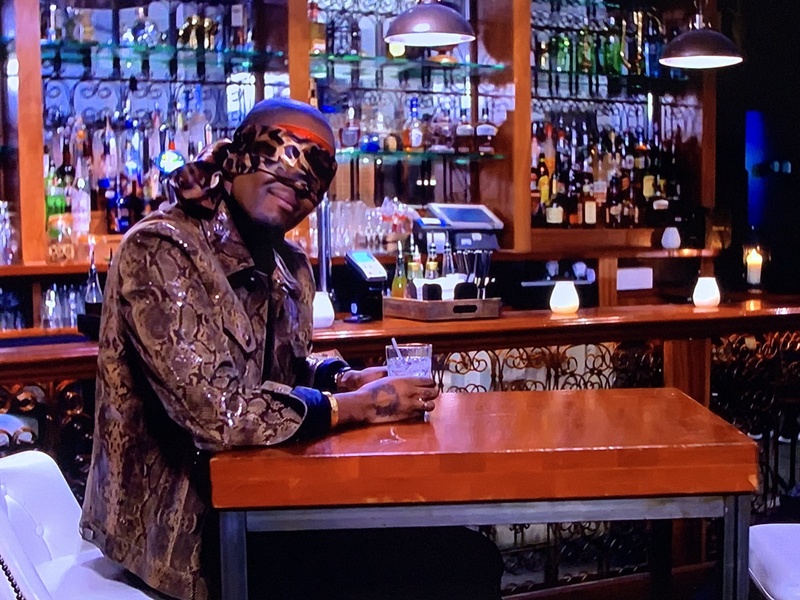 Yes, but they said the catch was that he would be blindfolded during the whole date – the concept being that the celeb would go speed-dating with four “non-celebs” in the same evening and choose the guy he got on with the best purely based on personality for a second date, rather than looks. Did you know who were dating? Yeh, I did actually! I asked the producer upfront in the early stages, just because I probably wouldn’t have been up for doing it if it seemed like someone I completely didn’t want to go on a date with. If I’m completely honest… Vas is not my usual type, but then I general like to not rule anyone out until I get to know them. But I was still really up for going to meet him anyway, as I literally didn’t know him at all, so for all I knew maybe he’d be really cool in person and we’d hit it off. On paper, we also sounded like we could have a lot in common, both being into music, and me being a freelance writer and him running a magazine. I also find guys who are really driven attractive so thought it would be interesting to hear about how he climbed to his current success. What was the date like – was he nice? He might be a really lovely guy away from the cameras, but to be honest I didn’t enjoy the date. Conversation felt a bit hostile and he called me “boring” and said he’d “switched off” several times quite abruptly to my face, which I obviously think is quite a rude thing to say to someone you’ve literally just met and know nothing about. Giving him the benefit of the doubt though, I don’t know if the producers encourage the celebs to make a bit of drama with the dialogue, so it was hard to actually know how natural the conversation was and how much of it was him having to, or wanting to, project a character of himself for the show. The whole thing was awkward. I think when you’re watching these types of shows from home, it’s of course made to look really natural and as if the conversation is organic. But, what you don’t really think about – myself included, until doing this – is just how many show producers are in the room when someone is filmed for this sort of scene. Even though they were really friendly, there must have been around 15 camera crew sitting in absolute silence in this massive room witnessing my “intimate date”. Not to mention, as a contestant you’re constantly trying to strike the right balance of being vaguely entertaining for TV but making sure to avoid anything that could portray you negatively on national TV. Did you fancy him more or less by the end of the end of the date? I didn’t fancy him by the end of the date. What did Vas say about your after? I have no idea what he said about me, but I’m not really that bothered by it either to be honest. I’ve never been on a date with someone who’s been blindfolded before (I mean, it would have been strange if I had…), so obviously he’d have based his whole perception of me on my personality and my voice – so in that respect, I do think it would be really interesting to know what the other person thought. So if Vas wasn’t your type, what kind of guy do you normally go for? I know everyone says this, but I don’t think I have a strict “type”, as I think everyone has something different to offer and their own quirks. Although, I know some of my friends will be laughing reading this… yes, I do tend to gravitate to guys who have an interest in the gym more. Saying that, I do I think that’s more just because fitness is quite a big personal interest of mine. I like feeling motivated around someone else when I’m in a relationship, rather than slipping into habits and getting out of my routine. It also sounds stupid, but, I think dating someone who’s into fitness also means that when I get out of bed for the gym at 5.30am they don’t think I’m an absolutely weirdo! Otherwise, I just like guys who make me laugh and don’t take themselves too seriously – I have quite an acquired sense of humour myself, so that’s pretty key! Being a snappy dresser always goes a long way too – put AWAY that Next branded underwear, pronto! Which celeb would you like a date and why? 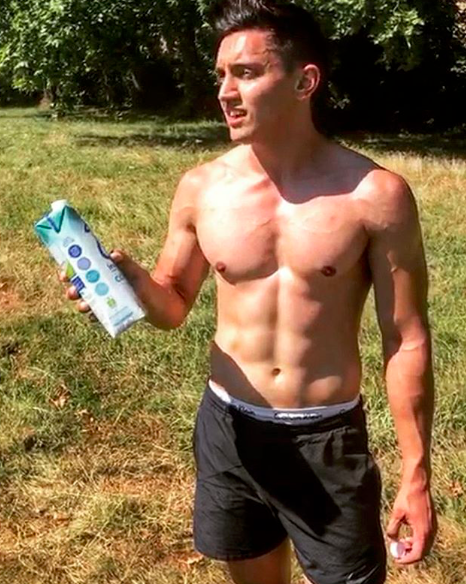 I think it’s tricky to name someone you fancy when you don’t ACTUALLY know them, but would say I’m a bit low-key into Olly Alexander from Years & Years. I think he’s insanely talented and fearless in the media eye. He’s not afraid to challenge traditional social norms of masculinity and he’s also incredibly vocal about subjects other people are afraid to talk about, such as mental health. I think even just fighting to exist as an openly gay musician in the mainstream charts is really brave (and important). I saw him do a speech at this awards event I went to once and he was so charismatic and just seemed like such a nice guy. Also, he’s also an incred songwriter – and that VOICE – yes. Are you good when it comes to romance? Is anyone really?? I just try to be genuine self on a date and if we “connect” then, happy days. Obviously it’s important to make an effort, but I think it’s just as key to let someone actually get to know the real you, otherwise there’ll be that awkward moment later on down the line when things get more serious and they realise you were just saying and doing all the “right things”. I think everyone carries their own baggage going into dating – I don’t think anyone, including me, is an exception to that. Are you the one makes the moves? Not always! But I do think sometimes you need to just cease the moment – especially if you never know if you’ll see that person again. This mantra is especially true for me when I’ve had a bit alcohol in my system! Yeh, I have, big time! But I do think having your heart broken is a really important learning curve for everyone to go through. I’m personally a lot more certain of what I do and don’t want now from future relationships because of that, and I think you learn to not settle for anything less. Time is too precious! I’ve also had a relationship where the guy was quite emotionally abusive too, and I think as horrible as that was, I was able to take a positive from that relationship because I know how I deserve to be treated now. I think people who have lower self-esteem or confidence can often not realised that they should be treated with nothing but 100% respect and equality from a partner. I think that’s another important lesson to learn. Thank u, next. What was your coming out experience? Personally for me, it had its ups and downs. I think the majority of gay people have experienced a fear rejection from loved ones before they’ve come out. I know with my mum being Malaysian and from a Muslim background and my dad having a lot of very traditional English views towards things, I did definitely have it in my head that being gay would be something I could never tell them. I was wrong though, and especially my mum has been amazing in my coming out process. In fact, my mum has basically been the biggest gay icon to many men out there her lifetime and I just never realised growing up at the time! She bought me AussieBum underwear as a present once before I was even out… it makes me think maybe she subconsciously knew I was gay even before I did?! So it’s been a pretty easy process? Don’t get me wrong, coming out was a really brutal process for me and I did have many negative experiences, especially being from a very conservative area in the English countryside. But I think similar to many gay men who have had these same experiences growing up can actually have this the bad stuff in the past to thank for the strong person they are today. I think going through any sort of homophobic bullying or oppression as a young person, despite it being something awful and unacceptable, does teach you to be more open minded as an adult and to be more accepting of others. Did you have a happy teen life? I hated school. I always find it strange when people say they enjoyed school! I was riddled with body images issues and didn’t feel like I fitted in in many ways with being creative and musical, and I when I started to realise I was gay, there was a lot of pressure to instinctively hide it from everyone – which is very hard in a boarding school where you have all-male houses. It wasn’t until I went to sixth form college that I was so lucky to meet many of my amazing friends that I’m still close with today. 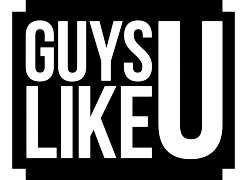 Funny enough, most of my close male friends within my friendship group ‘came out’ one-by-one after me at college, and to this day, the majority of us live in London together now… I think I must have started a trend with the whole gay thing in our group, maybe? At that time did you think things would get better? 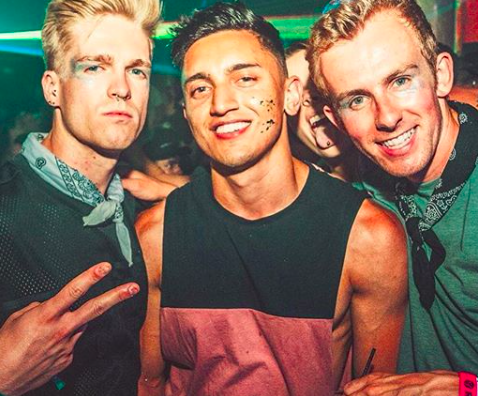 It is strange to think that when I was younger, I’d have never thought I’d be in my twenties now and being able to experience all the great things London’s gay scene has to offer together with my friends from childhood – I think that’s quite rare. If it wasn’t for my close friends growing up, gay and straight, I don’t know if I would have come to terms with my sexuality and other issues as quickly as I did. For that reason, I think having close relationships with friends and loved ones is really important for LGBTQ+ young people growing up, as often I think it’s natural to want to close yourself off from others around you when you’re in those situations and hiding a piece of you from the world. Previous ArticleThe Spice Girls' reunion is a BIG MISTAKE - they were never that good in the first place! Meet Hollywood’s Hot New Heartthrob! International Chest Hair Crisis Narrowly Averted!